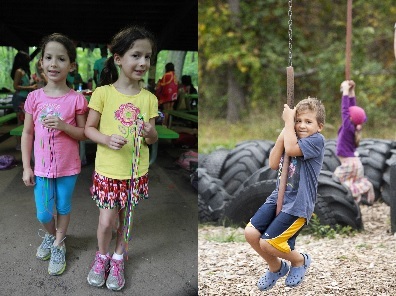 CU@Shabbat, Temple Sinai’s popular family Shabbat program, is back! Join us Friday, January 11th for a night of bubbles the whole family will enjoy. All CU@Shabbats begin at 6:00 pm and include dinner for $36 per family. This event is geared toward children 10 and under is open to the community so please forward this to your friends! Inviting all children (and parents!) to a Mega Kids Shabbat Party! Celebrating all of those who have a birthday in the Hebrew month of Tevet! Everyone is invited so please join us for Tefillah, Treats, Games, and Special Entertainment! A historical thriller bringing to life the drama of the birth of organized crime in 1930s New York City from the tale of one family. Andrew Gross is the author of New York Times and international bestsellers The Blue Zone, Don’t Look Twice, and The Dark Tide (which was nominated for the Best Thriller of the Year award by the International Thriller Writers), Reckless, Eyes Wide Open, and most recently, One Mile Under. He is also coauthor of five number-one bestsellers with James Patterson, including Judge & Jury and Lifeguard. Cantor Laura Bresnik, Rev. Beate Storck and Dr. Heba Elkhateeb discuss how Judaism, Christianity, and Islam view the "stranger" in the past and in today. L'Chayim: Filmmaker of "93 Queen"
Avner Avraham, a former Mossad agent, and Eli Rosenbaum, a former prosecutor of Nazi war criminals for the U.S. Dept. of Justice, describe Israel's dramatic capture of Adolf Eichmann in 1960. With novelist Thane Rosenbaum at the 92nd Street Y, NYC. 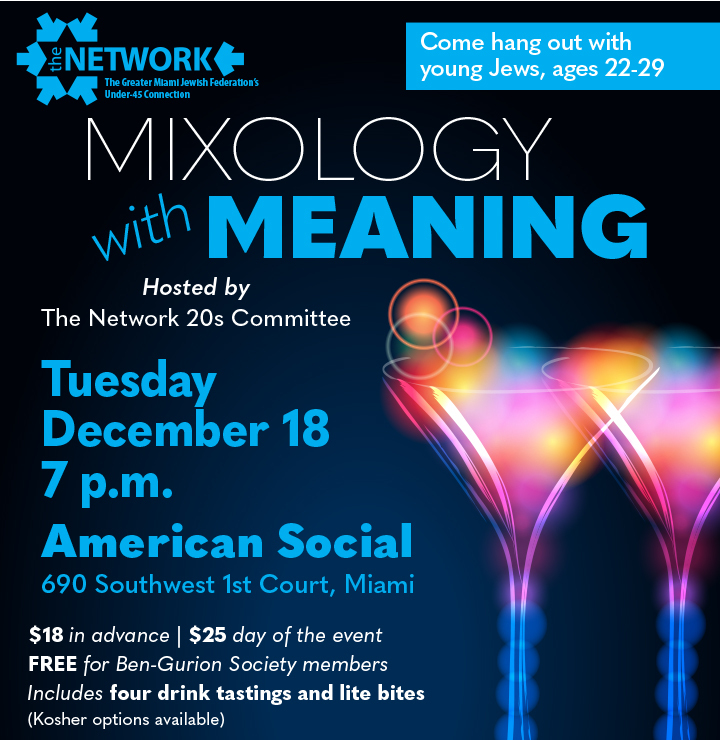 Join the Network 20s committee on Tuesday, December 18th and learn how to make 4 different drinks and learn about the Federation. Don’t miss out on this amazing event!! Event starts promptly at 7: 15 p.m.
Kosher food options will be available at the event. Are you a young adult looking to experience Israel? 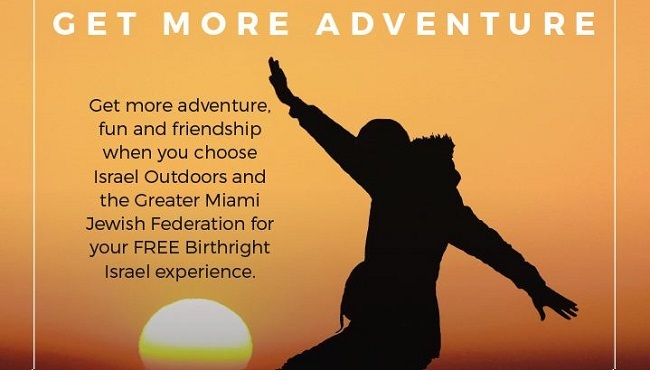 We are thrilled to announce that this year’s Miami Community Birthright trip will welcome participants ages 27-32, taking place June 12-24, 2019. Participants will explore Israel with their peers, develop connections with their heritage and make memories to last a lifetime. The fast-paced, active itinerary includes rafting on the Jordan River, floating in the Dead Sea, hiking Masada, enjoying Tel Aviv’s night life, visiting the Western Wall and exploring Miami’s partnership city of Yerucham. Space is limited; click here to register. 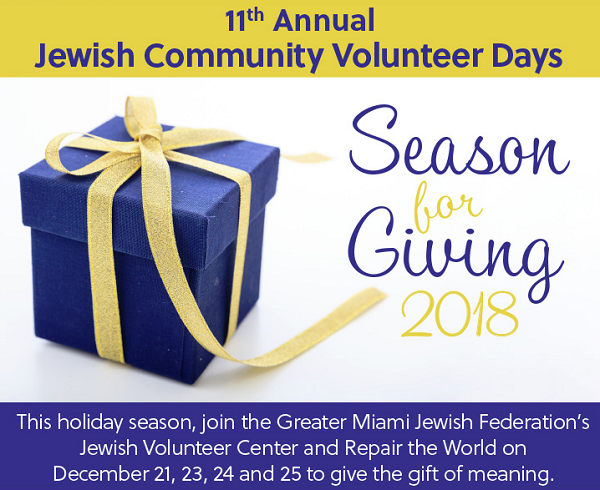 Make this holiday season special by participating in the Greater Miami Jewish Federation Jewish Volunteer Center’s 11th Annual Jewish Community Volunteer Days, sponsored by Wells Fargo.